For more detail, go to the COVER PAGE for this unit. Day 5: Assessment - Let's discuss what you would like to use here, if anything at all. You could pick problems from the ME assessment that are relevant or we could use items from the benchmark assessment. 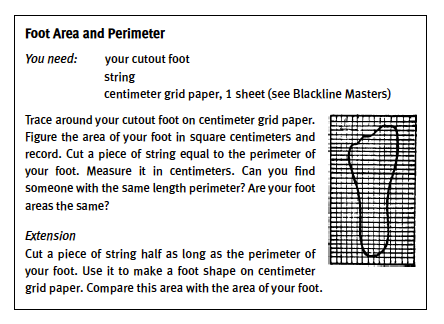 Additional Practice: Practice with Finding the Area and Perimeter of Rectilinear Figures (Jeremy’s Common Core Connections Homework Book – copy the practice and white out some of the dimensions) -You will have to ask Jeremy for this. Someone should upload it so we have it in the future. Lesson: What Do You See? 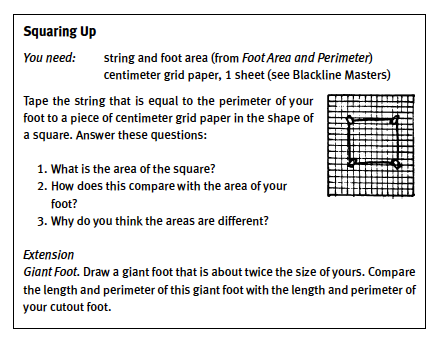 In this lesson each student creates a shape with an area of 30 square inches. Together the class examines one shape and shares different ways to see the parts inside the shape, while the teacher uses numbers and equations to record each different way. Then students write an equation showing how they see their won shape. They exchange shapes and share their thinking. 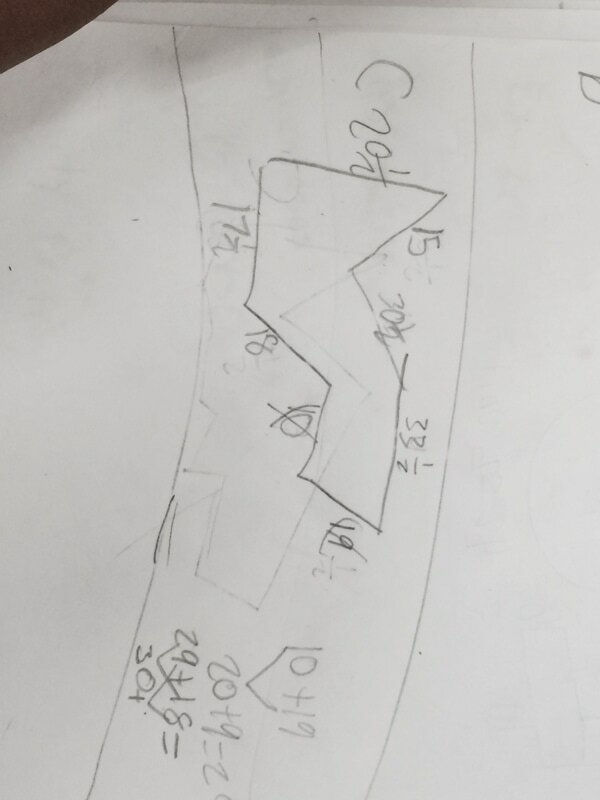 Deconstruct rectilinear figures into smaller rectangles to find the area. Collect student work. 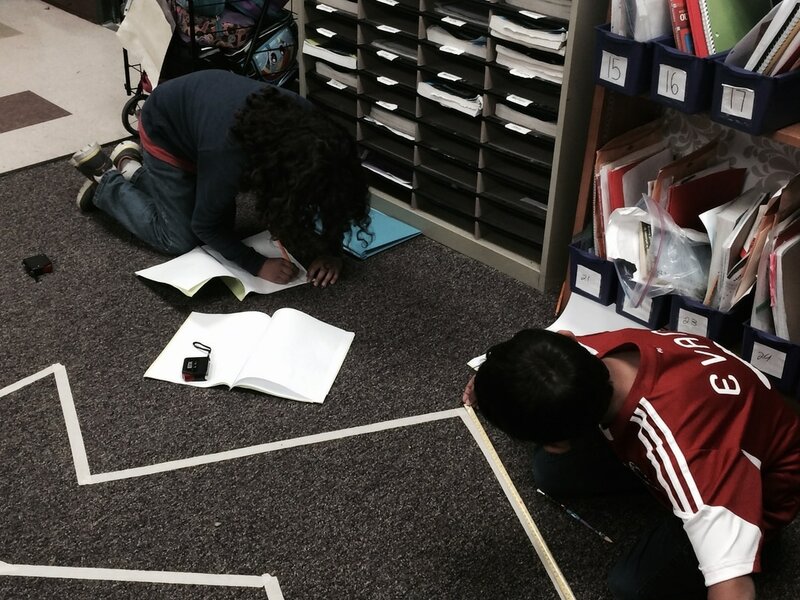 Look for accuracy in writing the dimensions of each smaller rectangle and in finding the total area. About how many square inches do you predict your figure is? How did you make your prediction? How many square inches is your figure? How do you know? 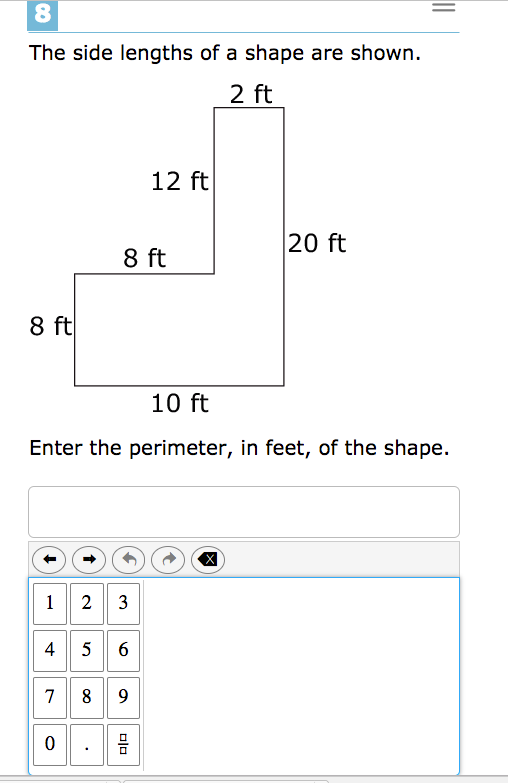 Students can draw other rectilinear figures on the grid, then find the area and prove it with drawings and equations. 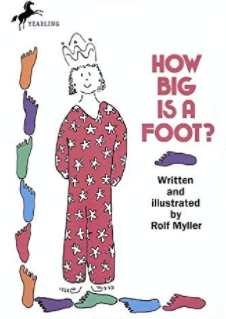 1) Foot Area and Perimeter (from About Teaching Mathematics) - Launch by reading How Big Is a Foot? Continue workshop items from week 1. 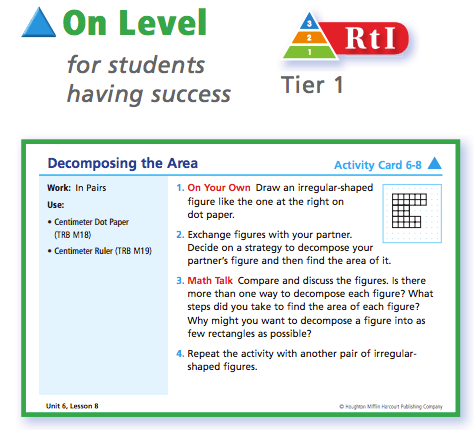 In this lesson students find the area of a figure by decomposing it into smaller rectangles and adding the area of the rectangles. 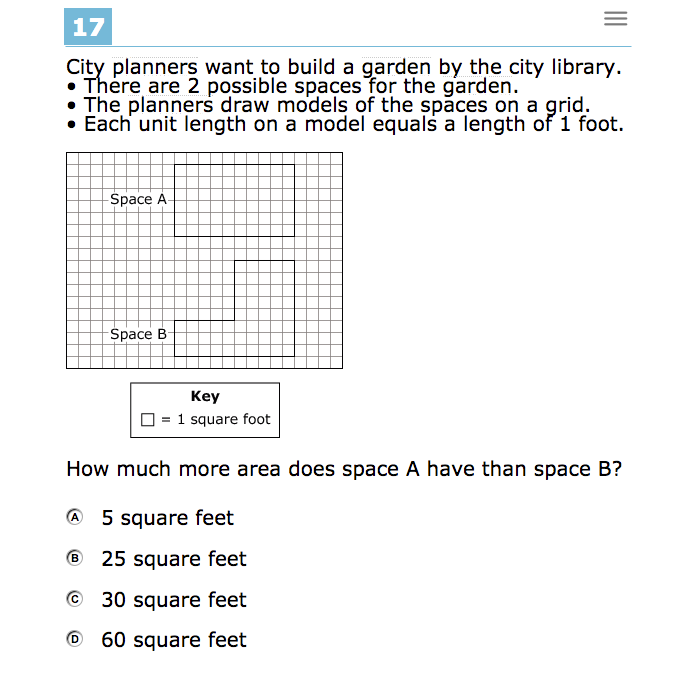 In this lesson, student solve world problems about area or perimeter. 1) Continue to offer workshop items from any lessons prior to this. In this lesson, students become familiar with tangram pieces and calculate area using tangram pieces. 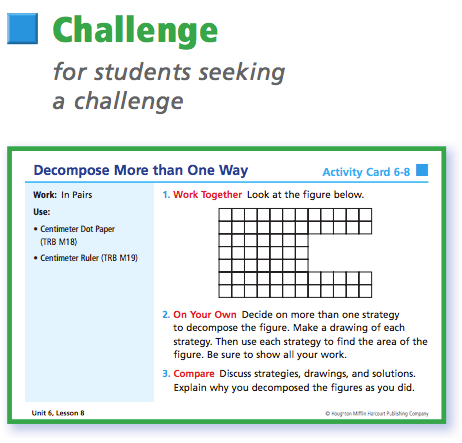 Tangram pieces - borrow plastic tangrams from A124 or have students cutout from SAB 353A. Assessment - Let's discuss what we would like to use.